Since 2000, continuous card mixing machines – or shuffling machines – have been introduced to the casino games market. In order to protect the house from the card counters and, in general, any cheating attempts involving the deck, this invention continues to be used today. They are considered the worst nightmare of a card counter. In fact, by the time of its release, they were promoted under that slogan and, the first issue – called “The King” – really diminished the traps at the blackjack tables. There are players who disagreed and still remain staunch opponents of these machines. However, the advantages attributed to automatic shufflers are compelling reasons to keep them in a gaming room, even if they are not to everyone likes. Not all the casinos in the world have these shufflers on their tables, but those who decided to try them, agree that they completely eliminated the players who specialized in card counting. Also, the dynamics of the game flowed more quickly and there was an obvious reduction in the time to shuffle the deck. The presence of a card mixing machine cannot be ignored. They are imposing, black and opaque. It is composed of optical readers and card recognition software. When casinos are challenged for this last function, management insists that it is a tool to ensure that the deck is complete. With these vague explanations, the displeasure that the clients experienced when the card mixing machines were installed was not so insidious until the moment when the most serious irregularities were evident. It cannot be denied that with these machines the tricks of the players who counted the cards were eliminated, but suddenly the croupier of the tables began, in alliance with a player, to conspire and use the shufflers as a scam tool with the rest of the players. The professional blackjack players are those who show more animosity for these machines. In fact, with the increase in hands per hour, complaints began to come from all sides, claiming an advantage for the house and a significant reduction in the probabilities of the members of the table – leaving the dealer out. Another of the great annoyances caused by these machines is due to the letters, which are never discarded. When there is a shuffler on the table, the process of the game begins with the distribution, then the moves and, finally, the scrapping of cards, but with the machines of continuous mixing, all the parts return to the deck and, eventually, to the game. On the other hand, the great disadvantage to occasional players lies in the speed of the game. It has been proven that this increases by 20%. In the short term, this does not affect credit or bets, but there comes a time when profits are going to be directed, with a high index, to bank funds. At this point, it is worth asking: how does this hurt the casinos and why are they still using automatic card shufflers? The answers to these two questions were answered by Michael Shackelford, a renowned expert in mathematics who uses his knowledge in casino skill games. Their positions, first, focused on the cost-utility relationship. If the casinos still keep the “shuffling machine” on the tables it is due to its high price. Each one, approximately, costs something more than 17 thousand dollars and no business, although it receives continuous profits, can allow the loss of work material. In that sense, the picture is not entirely favorable for casinos. Just as the mere machine is expensive, maintenance is also a process that raises a couple of thousand dollars. They are delicate to any damage and for that reason, although many dislike them; the casinos keep them stoic on the tables. For Shackelford, continuous shuffling machines are also a problem for casinos as they hire less experienced croupiers, totally oblivious to the card experts who worked in Las Vegas during the 1980s. In addition, continuous complaints and Losing players at the blackjack table is also mortification for the casinos. Obviously, these machines are a necessary and obligatory evil with which players have to learn to live together. However, to alleviate a bit the disgust of users, the casinos have biased the amount. 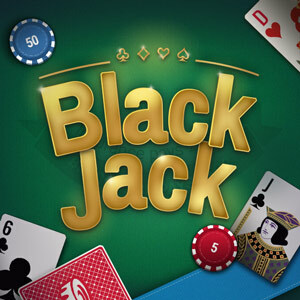 In this sense, it is possible that a game room is composed of 80% of blackjack tables with real shufflers and, the remaining percentage, with card mixing machines.